Forget everything you think you know about Mrs Beeton, writer of the famous Book of Household Management—a collection of recipes and practical guidance, published in 1861, which taught generations of British women how to boil calf’s feet, curry mutton, treat servants and dress appropriately. In your mind’s eye, she’s probably the archetype of the Victorian woman of breeding, a conservative and somewhat severe character, highly experienced, probably middle aged, and a cook of some sophistication. In truth, she was none of the above. Isabella Mary Beeton never made it to middle age—her epochal book was first published when she was 25, and she died just three years later. She came from a lower middle-class background and, while writing her instructions for the affluent housewife, was neither affluent nor a housewife. Instead, she was an ambitious, energetic young journalist. Isabella had Marylebone in her blood. Her maternal grandparents lived and worked in the area—both had been domestic servants in Marylebone mansions, before Isabella’s grandfather opened a livery stable on Wyndham Mews and became a relatively successful small businessman—and her mother, Elizabeth Jerrom, was raised here. Her father, Benjamin Mayson, a linen merchant, lived in Marylebone and had a warehouse in the City. The couple were living at 40 Upper Baker Street when Isabella, their first child, was born, and she was baptised on 20th April 1836 in St Mary’s, Bryanston Square. Not long afterwards, though, the family left the area, moving to Cheapside to be closer to Benjamin’s business. At the age of 19, Isabella married Samuel Orchart Beeton, a dashing publisher, who had astutely bought up the British rights to Harriet Beecher Stowe’s Uncle Tom’s Cabin in 1852, before launching Boy’s Own Magazine in 1855. 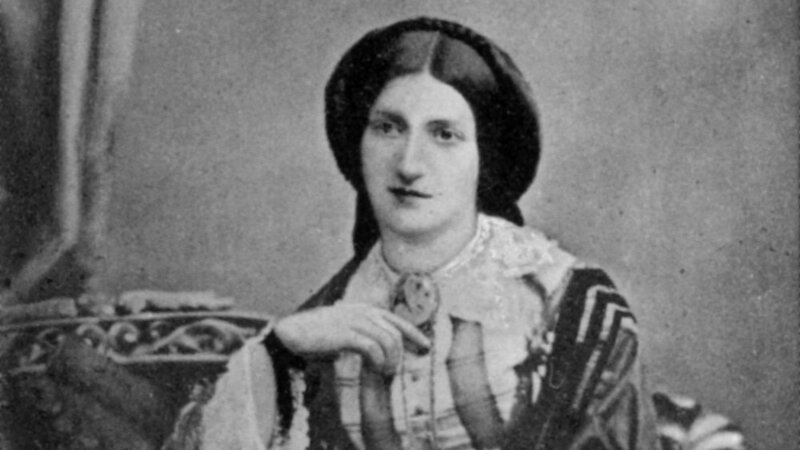 The new Mrs Beeton, while heavily pregnant, took up writing for another of her husband’s publications, The Englishwoman’s Domestic Magazine, covering both cookery and home management. After the tragic death of their young son she threw herself into her work, commuting to her husband’s London offices every day from their home in Pinner. The most popular recipes and columns from the magazine were collected in a book, which was published in October 1861. Mrs Beeton wasn’t, though, much of a cook. With one exception (Useful Soup for Benevolent Purposes), every recipe had been shamelessly robbed from other writers, notably Eliza Action and Hannah Glasse, or sent in by her magazine’s readers. Isabella’s genius was in setting these recipes out with clarity, consistency and useful notes relating to pricing, seasonality and social mores. Mrs Beeton’s Book of Household Management sold millions of copies, and had perhaps as great an influence on Britain as any cookbook ever has or will. She didn’t live to see that influence unfold: in February 1865, aged just 28, she contracted puerperal fever from the unwashed hands of the doctor who had delivered her fourth baby hours earlier, and died within days.